Hello! My name is Andrea. I am a 26 year old Hungarian girl who absolutely adores animals. 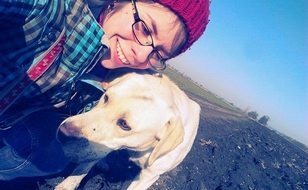 I have a beautiful labrador-lady called Zora who always makes sure I spend my days actively. I have recently moved to Bournemouth. Unfortunatelly without my best friend and I am missing the contact with these kind creatures from my life.